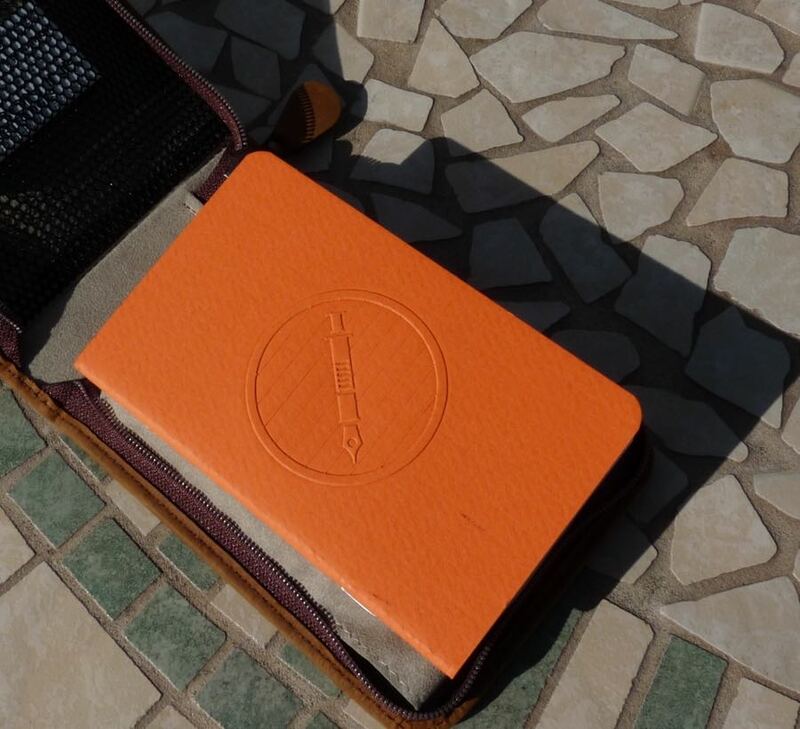 Kaweco Traveler Case Review – Pens! Paper! Pencils! 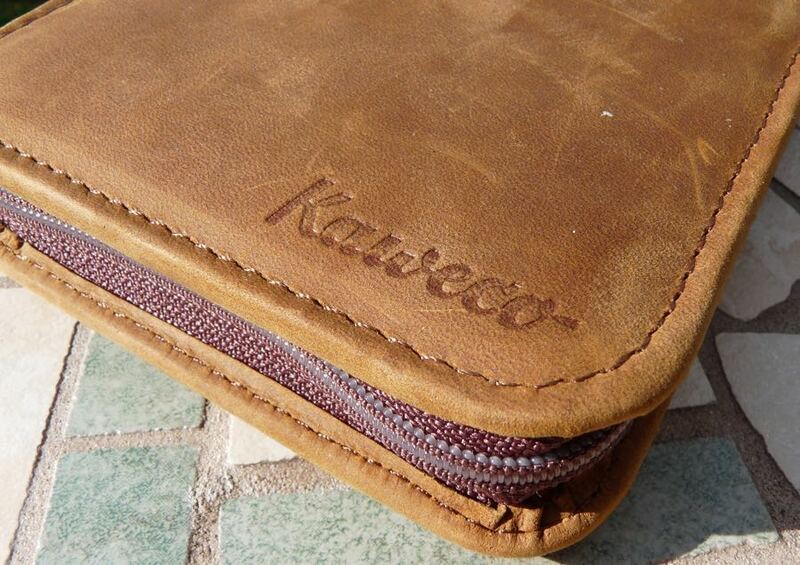 Kaweco continue to expand their range of products and the Traveler Case is the latest example. It’s made from calf leather and costs a little under €100. Thank you to Kaweco for lending me this case so I could review it. These are my own honest opinions. 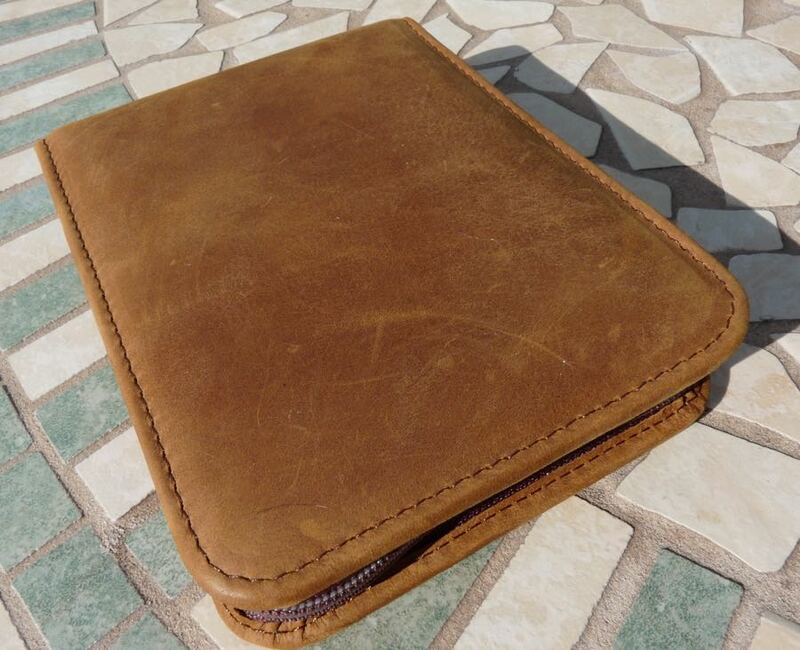 The leather brown leather is soft, a little suede-like, and seems to be very high quality. I can see that it will collect some stories, a lovely patina, as it’s used. As the one I’m reviewing here is on loan from Kaweco and has to be returned so I’ve been fairly careful with it but it’s already picked up a few scuffs here and there. 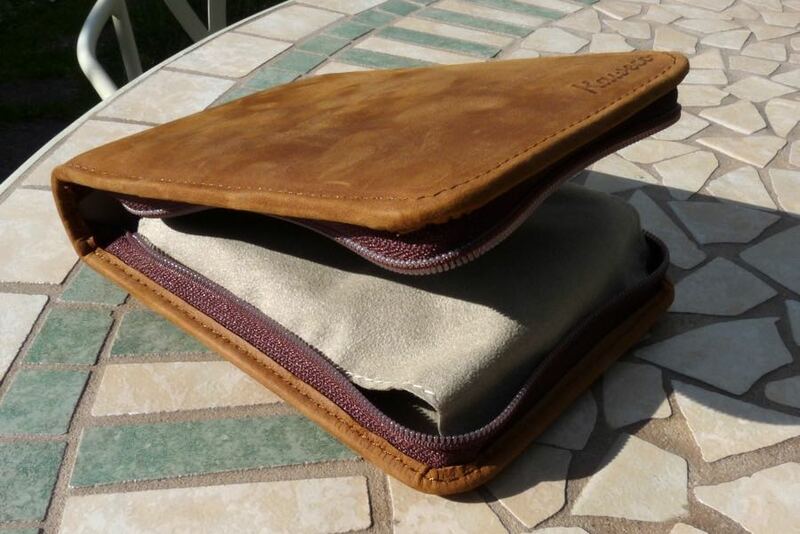 This is why I like leather but if you want a case that retains a pristine condition, this isn’t for you. There are no markings on the outside of the case other than ‘Kaweco’ stamped near one edge. 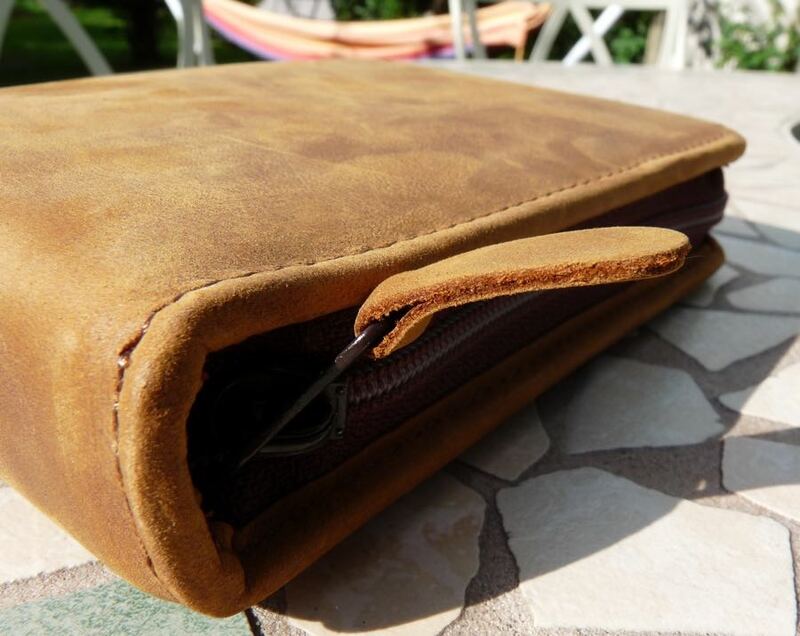 The case is finely stitched around the outside edge and closes by means of a zip with a leather tag. When closed, the case is secure and self-contained. It’s also padded front and back. Anything you keep inside is going to be well protected. One half of the case has a pocket into which you can pop odds and ends: some cartridges, an eraser, a pencil sharpener, and so on. The netted pocket is almost exactly too short for a Field Notes sized notebook but there’s enough space to rest one on top, sitting between the two halves of the case. The other half of the case has six elastic loops for your pens. 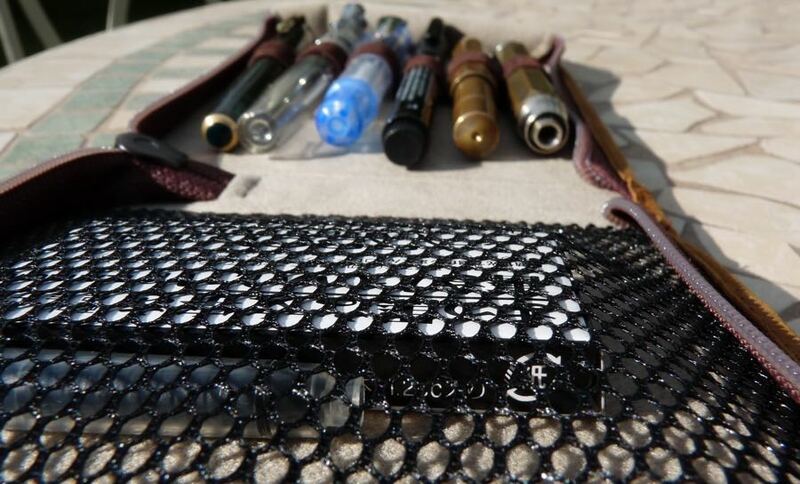 The inside of the case is 14cm long: most pens will fit, length-wise, but not all. Some of your fatter pens will struggle to slide into the pen loops, too. However, assuming your pens are small enough (and most are) the case will hold them securely and with a high level of protection. 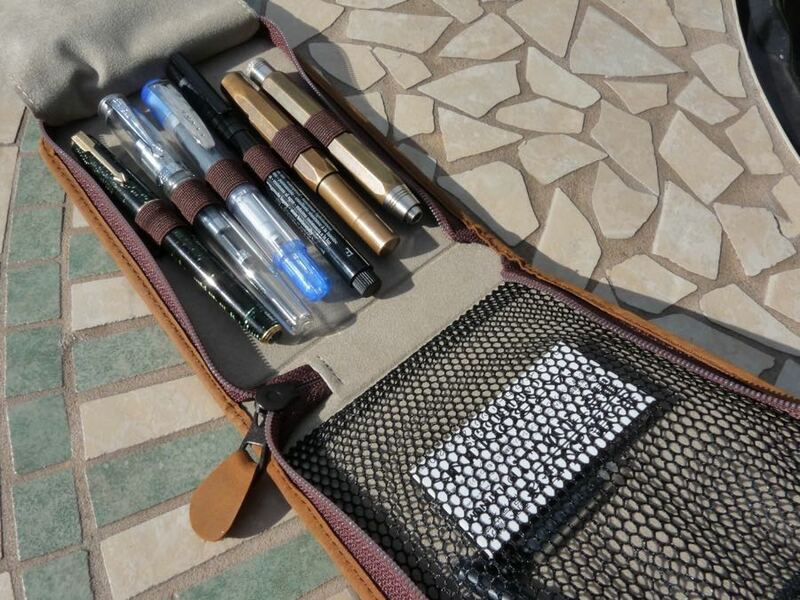 There’s even a cloth flap that protects your pens from whatever you’re keeping in the rest of the case. 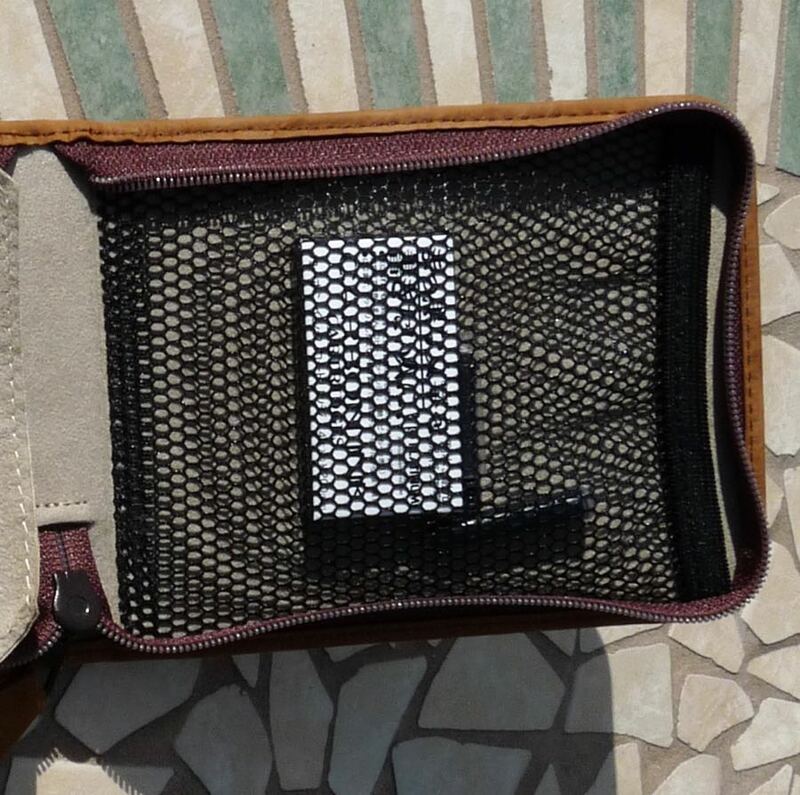 This is called the Traveler Case and it performs that role well. Whatever you keep in this case will held safely and securely and in a good compact package. What’s more, when you arrive at your destination you won’t be embarrassed to take this out of your bag when you get to, perhaps, your posh meeting. It looks gorgeous. It’s expensive but roughly comparable to similar leather products. You just need to be sure your pens will fit. Your comment about the new pocket being just too small for a notebook reminds me of my only misgiving about the Derwent Carryall, which is just frustratingly short of being able to accommodate an A4 sketchbook. Thank you for this review. I have been looking at this case for half a year.